Today Josh was bored so he decided to walk to the convience store down the street to buy a treat. When he came home he was super excited to show me that they had Zots there and he bought me some. When I was in Junior high I used to spend a ridiculous amount of time at the local roller skating rink. I would spend all summer skating with my friends and buying junk at the snack bar. And every trip to the snack bar involved buying Zots. I would skate and eat Zots all afternoon. I rarely see Zots anymore, but when I find them somewhere it's such a flashback to my childhood. 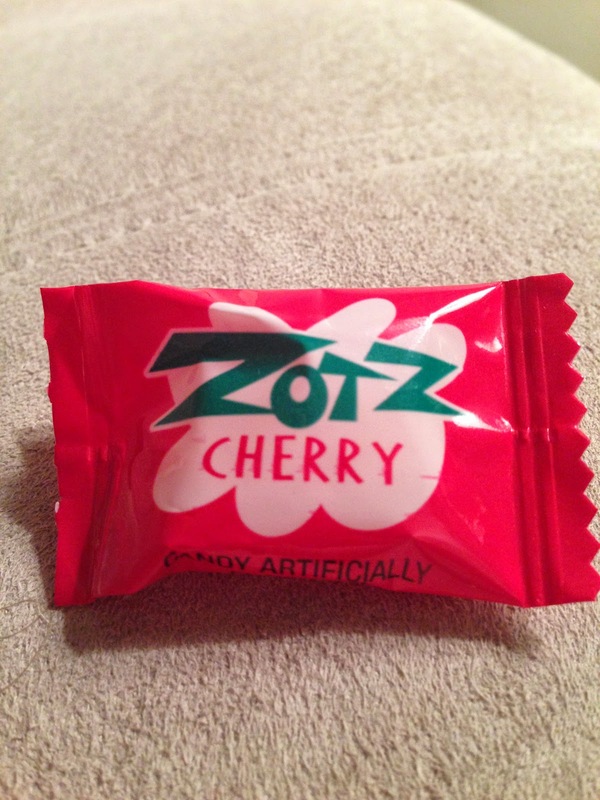 A few years ago I found some at a candy store and told Josh the whole story about roller skating and eating Zots and I introduced him to the fizzy, sour wonder that is Zots. So today he found them at the convience store and brought some home and we shared them. They're kind of hard to eat because they're super sour and fizzy. I'm not even sure that I like them anymore, but eating them is like taking a time machine back to being 12 and hanging out at that skating rink, and that makes me smile.